*ON APPROVED CREDIT. Offer expires April 30, 2019 . 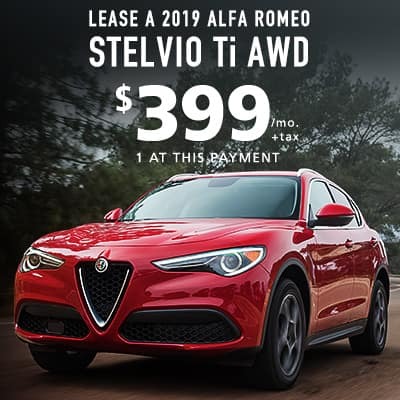 Available only at Alfa Romeo of Arlington to qualified lessees with approved credit through Chrysler Capital. Delivery by April 30, 2019 required. Subject to availability, this offer [vin: 607215]. 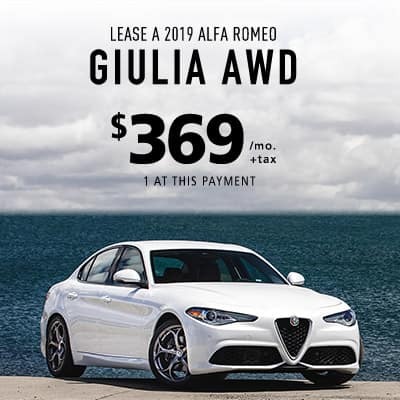 Payment shown based on a 24-month closed-end lease for a new 2019 model year Giulia with MSRP of $48,590. Total cash due at signing is $2,999.00, plus first month's payment of $369.00, security deposit waived. Total amount of monthly payments is$8,856. Purchase option at lease end for $29,639.90 plus taxes. Lessee is responsible for insurance, maintenance, repairs, $.25 per mile over 10,000 miles per year and excess wear. Title, taxes, license, registration, destination. And acquisition fee of $1395. *ON APPROVED CREDIT. Offer expires April 30, 2019. 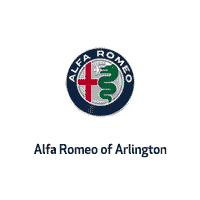 Available only at Alfa Romeo of Arlington to qualified lessees with approved credit through Chrysler Capital. Delivery by April 30, 2019 required. Subject to availability, this offer [vin: C45492]. 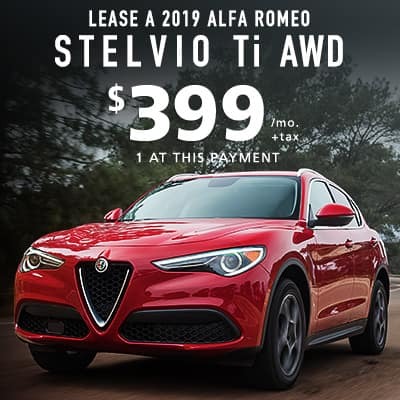 Payment shown based on a 24-month closed-end lease for a new 2019 model year Stelvio AWD with MSRP of $51,640. Total cash due at signing is $2,999.00, plus first month's payment of $399, security deposit waived. Total amount of monthly payments is $13,566. Purchase option at lease end for $30,984 plus taxes. Lessee is responsible for insurance, maintenance, repairs, $.25 per mile over 10,000 miles per year and excess wear. Title, taxes, license, registration, destination. And acquisition fee of $1395.